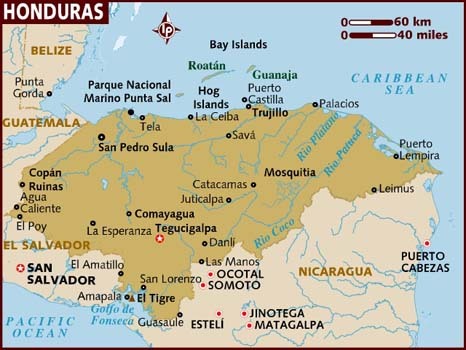 Honduras is a small, tropical, exotic country located just south of Guatemala, North of Nicaragua and next to El Salvador. Even though Honduras has a small population, it boasts an interesting mixture of cultures. The Maya and Mestizo population on the mainland and Garifuna population on the coastal areas and islands. This mix of cultures is one of the interesting cultural aspects of a trip to Honduras that visitors enjoy. Honduras is a very diverse country that has something to offer for every kind of traveler. Whether you are in search of beach getaway, diving adventure, or have an interest in cultures past and present, you will be sure to find it in Honduras.